Air Date: Thursday, April 19 (10:00-11:00 p.m. EDT), on ABC. 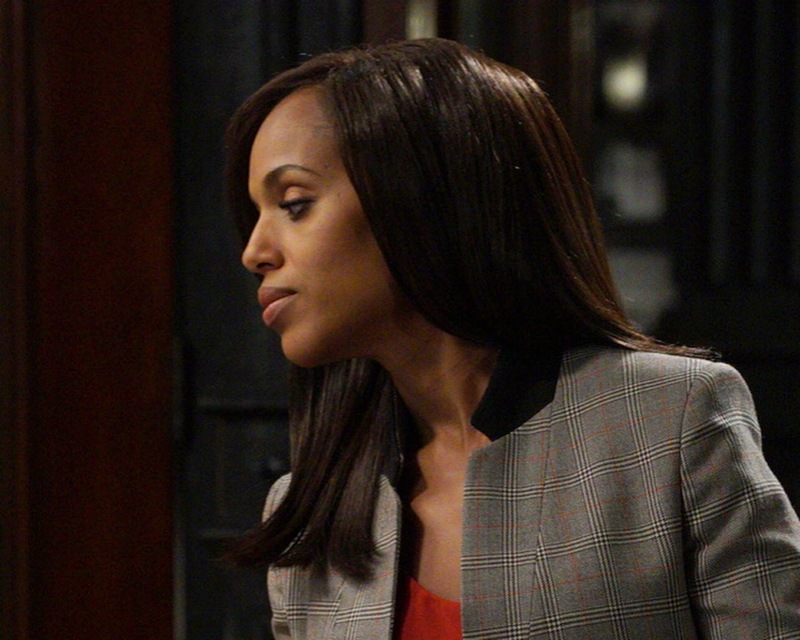 WILL OLIVIA POPE TELL THE TRUTH, THE WHOLE TRUTH AND NOTHING BUT THE TRUTH? 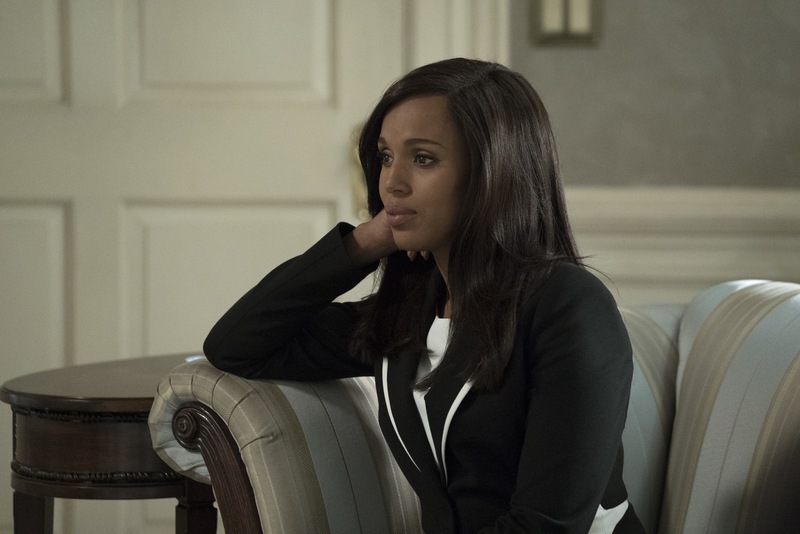 Cyrus and Jake’s mission to take the White House reaches a new level of deceit when Liv is called to testify against Mellie, on “Scandal,” airing THURSDAY, APRIL 12 (10:00-11:00 p.m. EDT), on The ABC Television Network, streaming and on demand. Guest stars include Michael O’Neill as Lonnie Mencken and Kate Burton as Sally Langston. Air Date: Thursday, April 12 (10:00-11:00 p.m. EDT), on ABC. SHE WOULDN’T … . SHE COULDN’T … COULD SHE? 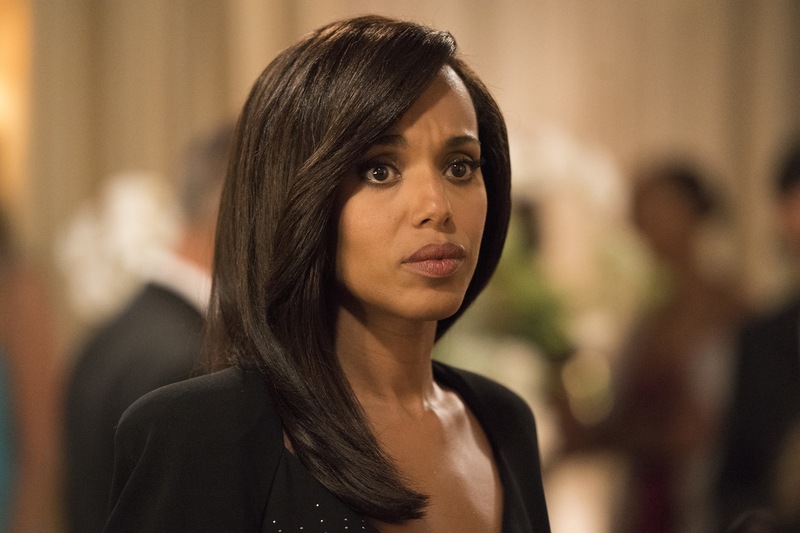 “Scandal” stars Kerry Washington as Olivia Pope, Guillermo Diaz as Huck, Darby Stanchfield as Abby Whelan, Katie Lowes as Quinn Perkins, Tony Goldwyn as President Fitzgerald Grant, Jeff Perry as Cyrus Beene, Joshua Malina as David Rosen, Bellamy Young as President Mellie Grant, Scott Foley as Jake Ballard, Joe Morton as Rowan Pope, Cornelius Smith Jr. as Marcus Walker and George Newbern as Charlie. Guest stars include Michael O’Neill as Lonnie Mencken. “People Like Me” was written by Chris Van Dusen and directed by Joe Morton. Air Date: Thursday, April 5 (10:00-11:00 p.m. EDT), on ABC. When Charlie is taken into custody for the hijacking of Air Force Two, Quinn is faced with an important choice. Meanwhile, Cyrus is pulling the strings behind closed doors and sets out to recruit Jake to join him on his quest for the White House. “The Noise” was written by Raamla Mohamed and Jeremy Gordon, and directed by Darby Stanchfield. Air Date: Thursday, March 29 (10:00–11:00 p.m. EDT), on ABC. After Air Force Two’s extraordinary safe landing, Cyrus takes his victory lap as America’s newest hero, and Mellie demands that the Oval stop at nothing until justice is served. Meanwhile, Liv tries to bridge the gap with the Gladiators by disclosing her theory behind the hijack and Cyrus’s true intentions. Air Date: Thursday, March 15 9:00-10:00 p.m. EST), on ABC. “Air Force Two” was written by Severiano Canales and directed by Valerie Weiss. Air Date: Thursday, March 8 (9:00-10:00 p.m. EST), on ABC. In the midst of moving on from the White House, Olivia gets an unexpected visitor in criminal defense attorney Annalise Keating, who seeks her help in fast-tracking a judicial reform class action to the United States Supreme Court. However, after Olivia’s recent fall from political grace, it’s going to be more challenging than ever to get the support they need, on a special, TGIT Crossover Event episode of Scandal. Viola Davis and Aja Naomi King guest star. “Allow Me to Reintroduce Myself” was written by Raamla Mohamed and directed by Tony Goldwyn. Air Date: Thursday, March 1 (9:00–10:00 p.m. EST), on ABC. 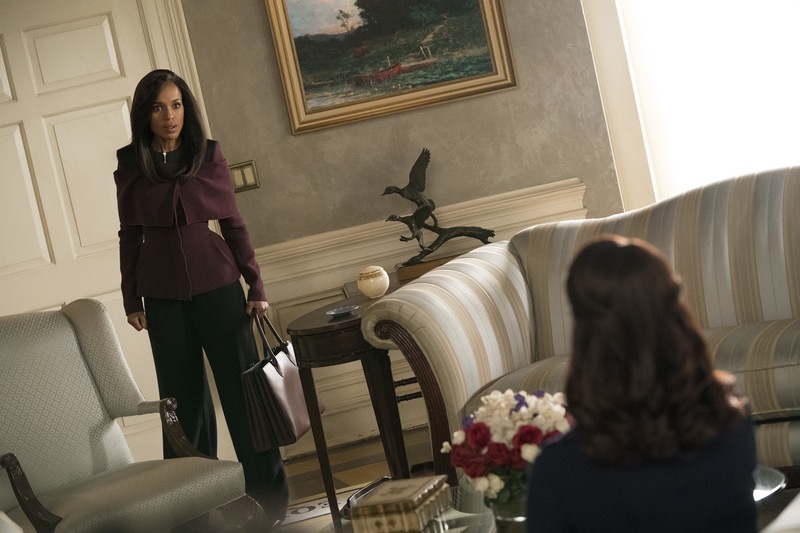 Mellie’s plans to name Jake as her new chief of staff only propels Olivia to do whatever it takes to make sure that does not happen. Back at Papa Pope’s house, Quinn becomes restless, wondering just how long Rowan intends to keep her and Robin hidden from the outside world. When Olivia agrees to join Fitz in Vermont for what she thinks will be a relaxing getaway, she is shocked to find that her closest friends have orchestrated a relentless intervention. Back in Washington, Cyrus finally reveals his suspicions to Mellie about Olivia and Jake’s extracurricular activities. 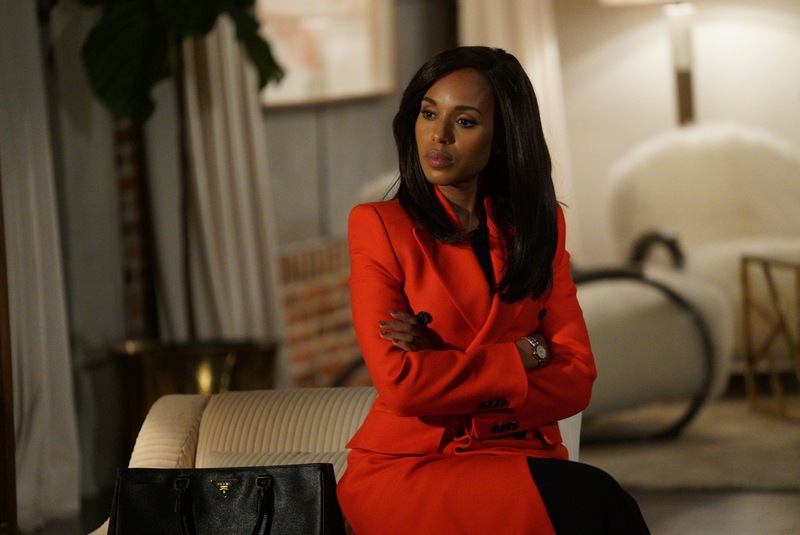 “The People v. Olivia Pope” was written by Ameni Rozsa and directed by Kerry Washington. Air Date: Thursday, Feb. 1 (9:00-10:00 p.m. EST), on ABC. 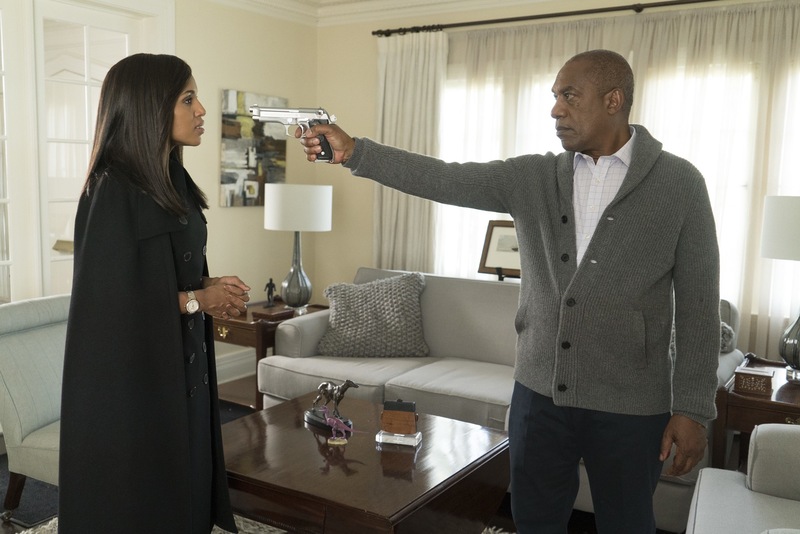 WHAT HAPPENED BEFORE PAPA POPE FIRED THAT GUN? The harrowing events that transpired in Rowan’s basement are revealed, from the moment Quinn was kidnapped to the earth-shattering gunshot that rocked Olivia to her core. “Good People” was written by Shonda Rhimes, Jess Brownell and Nicholas Nardini and directed by Nzingha Stewart. Air Date: Thursday, January 25 (9:00-10:00 p.m. EST), on ABC. On the midseason premiere, the fallout from Rowan’s desperate act affects all of Quinn’s loved ones, including a guilt-ridden Olivia. “Robin” was written by Juan Carlos Fernandez and directed by Daryn Okada. Air Date: Thursday, January 18 (9:00-10:00 p.m. EST), on ABC. The first half of the epic final season ends with shocking revelations and jaw-dropping events that will leave everyone reeling. “Something Borrowed” was written by Mark Fish and directed by Sharat Raju. Air Date: Thursday, November 16 (9:00-10:00 p.m. EST), on ABC. The Gladiators come together to celebrate Quinn and Charlie’s big day. Back at the White House, Cyrus, Mellie and Jake deal with a new crisis in the Middle East. Guest stars include Dean Norris as Fenton Glackland and Jay Hernandez as Curtis Pryce. “Vampires and Bloodsuckers” was written by Chris Van Dusen and Tia Napolitano and directed by Jann Turner. Air Date: Thursday, November 9 (9:00-10:00 p.m. EST), on ABC. Meanwhile, Cyrus is working on congressional approval to declare war in Bashran, and QPA is keeping close watch on President Rashad’s niece. “Adventures in Babysitting” was written by Serveriano Canales and Tia Napolitano and directed by Oliver Bokelberg. Air Date: Thursday, November 2 (9:00-10:00 p.m. EDT), on ABC. At the White House, Mellie prepares for the upcoming Nuclear Summit with President Rashad and Prime Minister Nazari. “Lost Girls” was written by Ameni Rozsa and Austin Guzman and directed by Nicole Rubio. Air Date: Thursday, October 26 (9:00-10:00 p.m. EDT), on ABC. YOU CAN TAKE THE MAN OUT OF D.C., BUT CAN YOU TAKE D.C. OUT OF THE MAN? “Day 101” was written by Zahir McGhee and directed by Scott Foley. Air Date: Thursday, October 19 (9:00-10:00 p.m. EDT), on ABC. Episode 7×02 “Pressing the Flesh” – President Mellie Grant hosts a state dinner for President Rashad of Bashran in a first step toward peace in the Middle East, and in case Mellie’s charm alone doesn’t work, Olivia secretly puts Jake to work so that they are armed with a back-up plan. Meanwhile, the team at Quinn Perkins & Associates attends the party in hopes to gain more high-profile clientele. 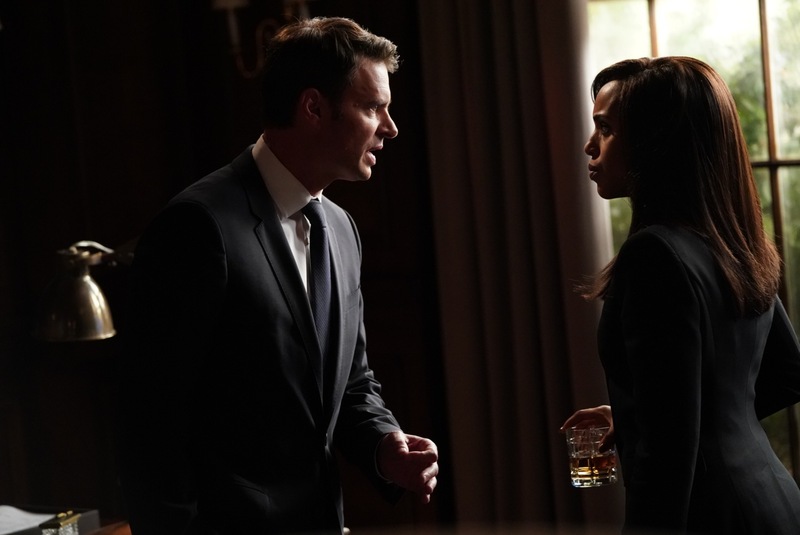 “Pressing the Flesh” was written by Matt Byrne and directed by Tony Goldwyn. Air Date: Thursday, October 12 (9:00-10:00 p.m. EDT), on ABC. One hundred days into Mellie’s presidency, Olivia Pope is proving she can run the world; but to avoid an international incident, she may have to make her toughest call yet. 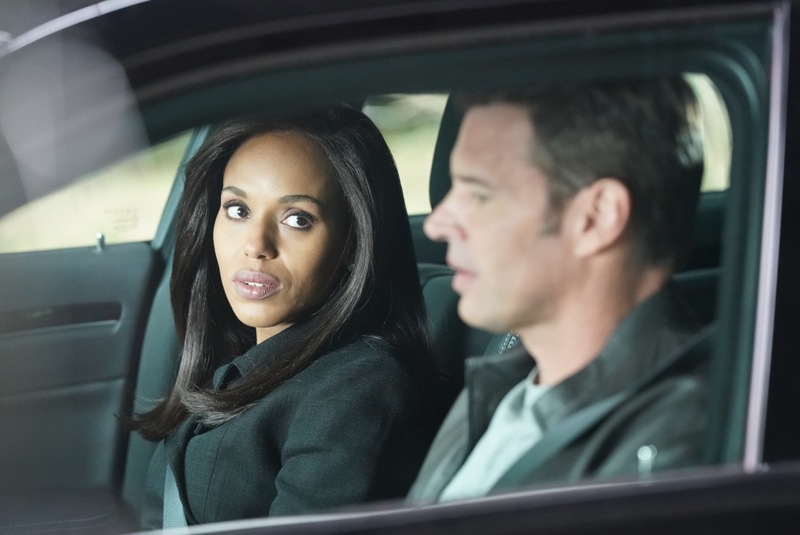 Meanwhile, Quinn Perkins & Associates struggle to find their first client, on the final season premiere of Scandal. “Watch Me” was written by Shonda Rhimes and directed by Jann Turner. Air Date: Thursday, October 5 (9:00-10:00 p.m. EDT), on ABC.